Physiology Activation Substance Carbohydrate, Nucleic Acid, Growth Factor, Amino Acids, Growth Factor, Amino Acids, Hydrolyzed Collagen, Concentrated Bio-protein, Enzyme and hormone that is refined from healthy Human Placenta. 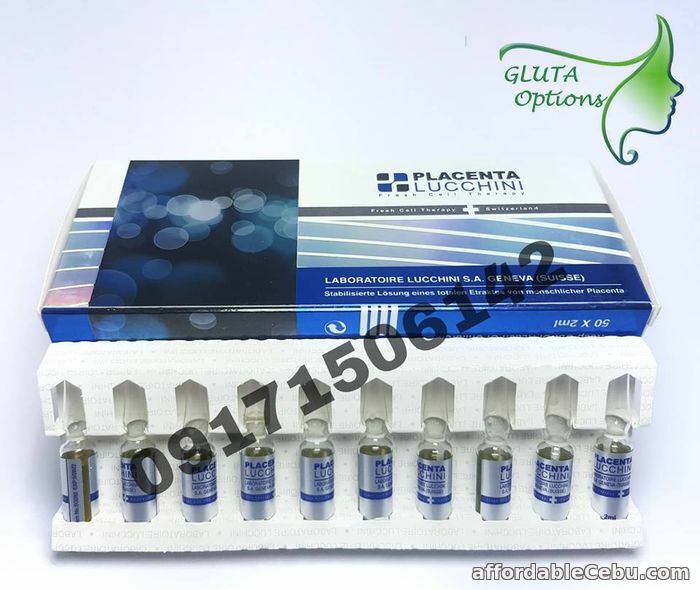 Placenta lucchni can be administered intamuscularly (IM) once a day for a period of 50 days. Alternatively, 2 ampoules of Placenta Lucchini can be administered concomitantly on a two dayss cycle.